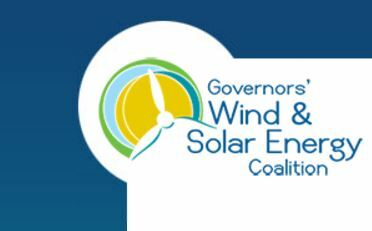 Twenty governors have sent a letter to the president advocating for federal policy support of renewable energy programs. The governors are from both political policies and their message is the same. Renewable energy is good for business and is a powerful job creation tool. The president claims to be a strong supporter of creating new jobs for Americans, but so far his stance on renewable energy has been less than forthright. His America First energy plan makes little mention of renewable energy. Instead, it focuses on coal, natural gas, and oil facilities. The letter from the 20 governors, who together represent the Governor’s Wind & Solar Energy Coalition, illustrates how out of touch with reality the president’s plan is with many local leaders and the wishes of corporate America. Since he was elected, Republican governors in Ohio, Illinois, and Michigan have signed legislation backing wind and solar. Last month, more than 600 U.S. companies issued a statement urging Trump not to withdraw from the Paris climate accord, saying it will generate trillions of dollars in investments. “The nation’s wind and solar energy resources are transforming low income rural areas in ways not seen since the passage of the Homestead Act over 150 years ago,” Kansas Republican Sam Brownback and Rhode Island Democrat Gina Raimondo wrote in the letter, on behalf of eight Republican governors and 12 Democrat state leaders. Despite the president’s lack of enthusiasm for clean power, the industry is a boon in many rural regions that formed that backbone of his electoral support. Rural property owners earn more than $245 million a year from leasing land to wind farm developers, according to the American Wind Energy Association’s fourth-quarter report. Solar companies employed more than 200,000 people last year, and most new installations were in rural regions, according to the letter. The White House has yet to respond to the letter from the governors but is continuing to call for more excavation and burning of coal.